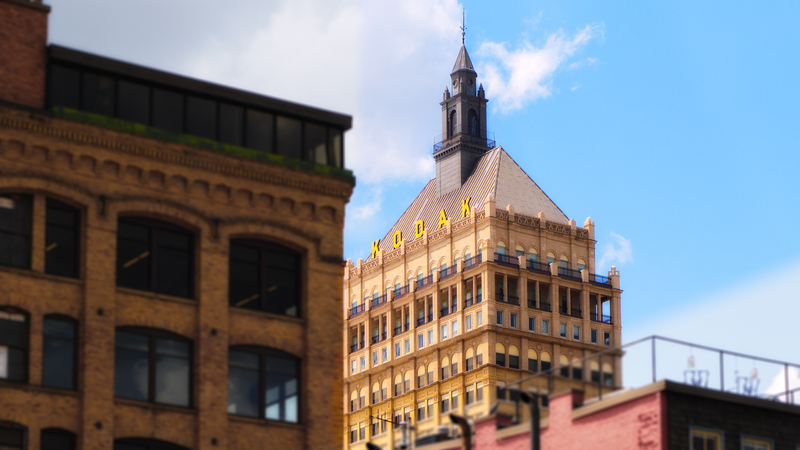 I spent some time with friends in Rochester, New York last week at a conference at Kodak Alaris. These friends have worked in the imaging industry for a long time and they deal with lots of pictures from lots of different kinds of photographers and they opened my eyes regarding color space, and I thought you might benefit as well. I’m by no means an expert on color space, but maybe I can help you understand it a little better. I’ll give you some simple information, then some recommendations on what settings to use in your camera and computer. Color space means how many colors are available in your picture, and your camera probably has two options: sRGB and Adobe 1998 RGB. sRGB is like using a box of crayons with 16 colors in it. You can make terrific pictures with that box of crayons. Adobe 1998 is like having 20 colors, and it gives you just a little bit more range of color. The thing is, the internet and your computer work in sRGB, so if you shoot in Adobe 1998 RGB and want to post it directly to the internet without editing then your picture may not have all the color you expected. If you use Lightroom or Luminar or other tools, they will convert your Adobe RGB picture to sRGB as the last step, and when they do you’ll get better results than if you had edited your picture using only sRGB. The first two pictures below are displaying sRGB first, then Adobe RGB. Look at the sky in each picture and you’ll see a significant difference– I did lots of processing to make sure you’d see it. The Adobe 1998 RGB picture has much smoother color gradients, where as the sRGB looks chunky and noisy. That’s because sRGB doesn’t have enough colors available to make a smooth transition in the sky at this picture’s small resolution. ProPhoto RGB is another color space available in editing tools on your computer, like Photoshop, but it’s not on your camera. It’s like using a box of crayons with 64 colors and when you’re editing pictures it’s nice to have as many options as possible available. As a matter of fact Lightroom’s only color space is ProPhoto. Here’s an interesting way to view color space from a recent Lightroom Live webinar with Daniel Gregory. I’ve cued it to the relevant portion which lasts a few minutes, but the whole discussion on black and white was fascinating. If you’re like me, bits and color spaces are just a little too technical for me to really worry about. Let me say this briefly: Jpeg files have more than sixteen million colors–16,000,000; RAW files have more than two hundred-eighty trillion colors–280,000,000,000,000. That’s a big difference, and the important thing is that when we process photos we change and throw away a lot of those colors, so it’s best to start with more. That’s why you always hear that we should shoot RAW. Even though the color spaces we’ve talked about above only affect the sixteen million colors visible in jpegs, they do a good job using the trillions of colors available in the RAW file to make a picture with smooth color gradients. Which Color Space Should You Use? You can’t get more colors from a source that started with fewer colors. If you’re shooting JPEGs and your camera is set to sRGB (the option with the fewest colors) You’re won’t get any benefit from using ProPhoto on your computer. Adobe 1998 RGB is the best choice if you are shooting JPEGs and will export them from Lightroom or Photoshop for the Internet in sRGB. In fact, my imaging genius friends told me that using ProPhoto on files shot in sRGB will result in poorer color gradients. That means that a rich blue sky will likely end up with lines or banding in it. Lightroom’s only color space is ProPhoto. This third picture of the waterfall is rendered with ProPhoto RGB. You’ll notice that the colors look wrong compared to the sRGB, and you’ll also notice that the Adobe RGB above picture isn’t as vibrant as the sRGB. That’s because the internet only displays pictures in sRGB and it’s trying to interpret the Adobe 1998 RGB and ProPhoto RGB pictures to display here. These pictures look great when I’m viewing them in Lightroom, but they look terrible on the internet. This is a common problem, and it’s simply because the wrong color space was used during export. Lightroom works in ProPhoto. Exporting files for the Internet means having to choose sRGB in the JPEG section of Lightroom’s export dialog box. Choose sRGB when you export to share on the web. This is the interface in Lightroom. If you shoot RAW: Camera color setting don’t matter. Lightroom works natively in ProPhoto RGB. Remember to export JPEGs in the sRGB color space for sharing on the web. Normally, browsers will read sRGB accurately without adjustments. Lightroom and Photoshop apply sRGB ICE61966-2 on export or convert to profile respectively. I wonder how your photos look in Bridge in sRGB and compared to Firefox. Thanks for chiming in Kevin! I believe that LR exports in sRGB v4 because I had to specifically load sRGB ICE61966-2 profile and I had to enable v4 color management in FireFox to get reasonable renders. By using the sRGB ICE61966-2 I got better rendering in FireFox without v4 color management enabled. I don’t use Bridge… I find it clumsy and awkward.